Owning your own store has never been cheaper or easier, and now you can find competitively priced vintage items from anywhere in the world thanks to Etsy. Meet two different Etsy individuals, their shops and start-up story behind them. Tips for Etsy selling success. Beginning in 2005, Etsy is an e-commerce website that gives users the ability to buy and sell pieces of art, handmade or vintage items, materials and supplies for only 20 cents a listing and 3.5% of every sale. Learn the Etsy in’s and outs through two individuals: their stories, shops and tips for success. 24-year-old Stephanie Rodriguez Libanati of Oakland, CA, sells used and vintage items in her online etsy shop: Rat Basket. 24-year-old Stephanie Rodriguez Libanati launched her online etsy shop, Rat Basket, last July selling a mix of vintage and thrift clothing and jewelry finds accumulated over the years. Fifty-four sales and five months later later, she says Rat Basket has sold over two grand all from items she’d paid mostly paid under five dollars for. “In August I only had five sales. Then in September, 11. Last month 21, and so far for November, today is the tenth and so far I have nine. I’ve found there is a correlation between the amount of items I post and sales I get” said Libanati. Dissimilar to Ebay, Esty has succeeded by serving a target demographic made up of independent businesses, artists and hobbyists. The website’s interface is informative and simple to navigate, it gives extensive advice for new sellers, and makes creating an online store, brand and business easier and cheaper for the average individual. By allowing artists to price and sell work directly, their are also able to keep their prices lower, making it better for consumer and producer overall. 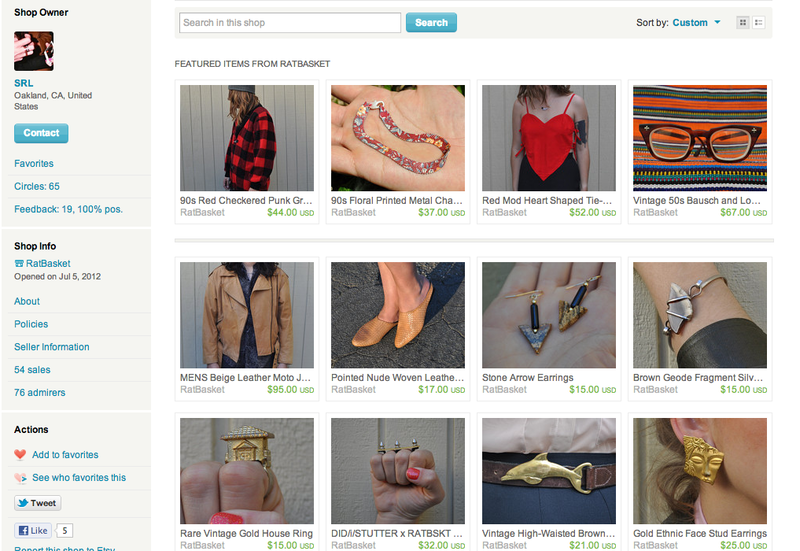 The “Shop Local” feature on the Etsy homepage is a great promotional tool for creative businesses and individuals selling hand-made, unique, and one-of-a-kind type items. 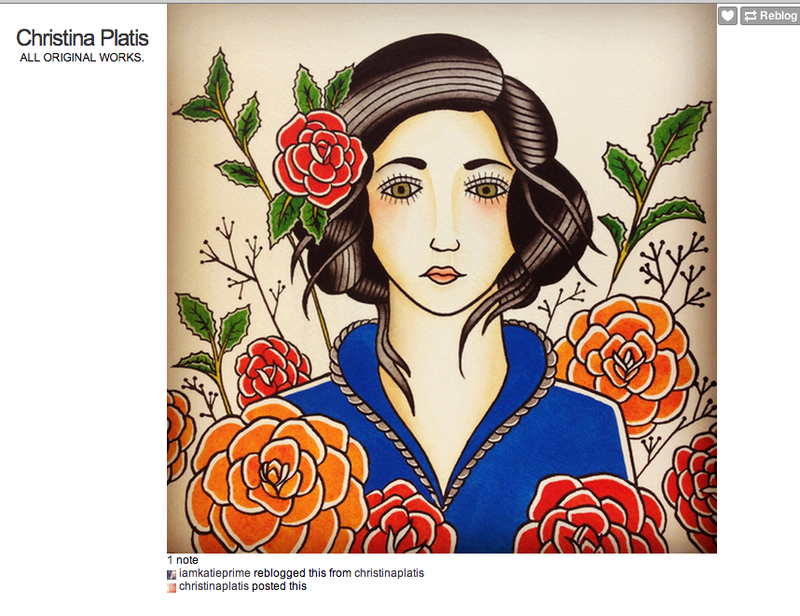 Original piece featured on 25-year-old Christina Platis’s artist portfolio website. The artist says her work mostly consists of watercolor paintings based on traditional tattoo art, as she is currently apprenticing at American Beauty Tattoo in Sunset Beach, CA. “It can be rough getting your work out there. Whether it’s clothes, jewelry, or art. Make sure you have a good image for your shop, and you have to take time to make your items cohesive.” Platis said. Artist Christina Platis uses her Etsy shop to sell original watercolor pieces and designs based around traditional tattoo art. 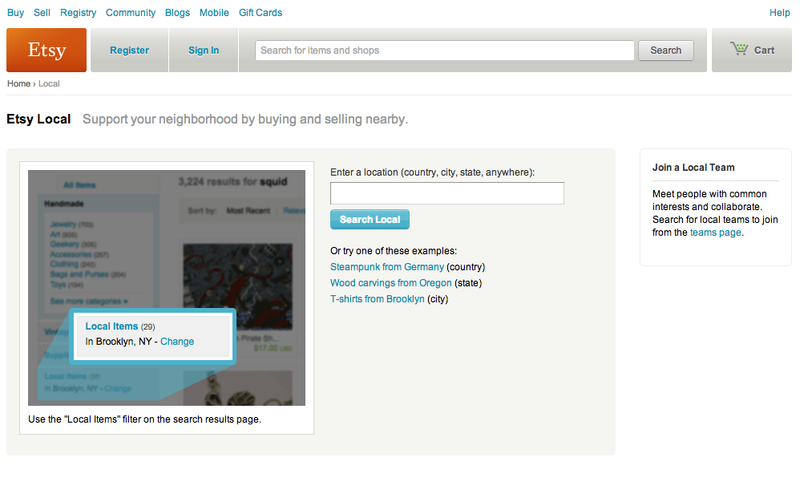 Tag it up: Etsy allows you up to 15 tags per item posted, so be sure to use key words that will come up in Etsy’s search engine. Personalize: a simple and creative lay out can grow a shop’s credibility and audience. Price competitively: by knowing what other’s are selling, making it cheaper might ensure you more sales. Black Friday 2012 at Best Buy through the eyes and experiences of two bargain-hunters. How to get the most out of next year’s black Friday shopping extravaganza: research the deals ahead of time. When I went back to my hometown last week for Thanksgiving two friends of mine were discussing the black friday deals and I decided to follow them on midnight after thanksgiving dinner to black friday at Best Buy. The two friends were DIYster Kelly Hamilton (check out a former post about her here) and 23-year-old Corey Weaver of Lakewood, CA. 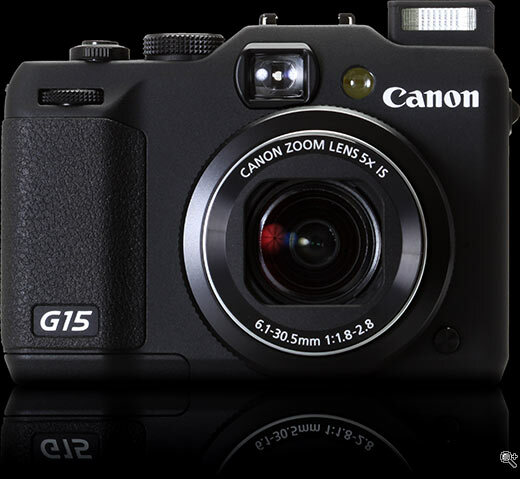 Hamilton was on the hunt for a point and shoot digital camera, and Weaver was looking to score some video games. 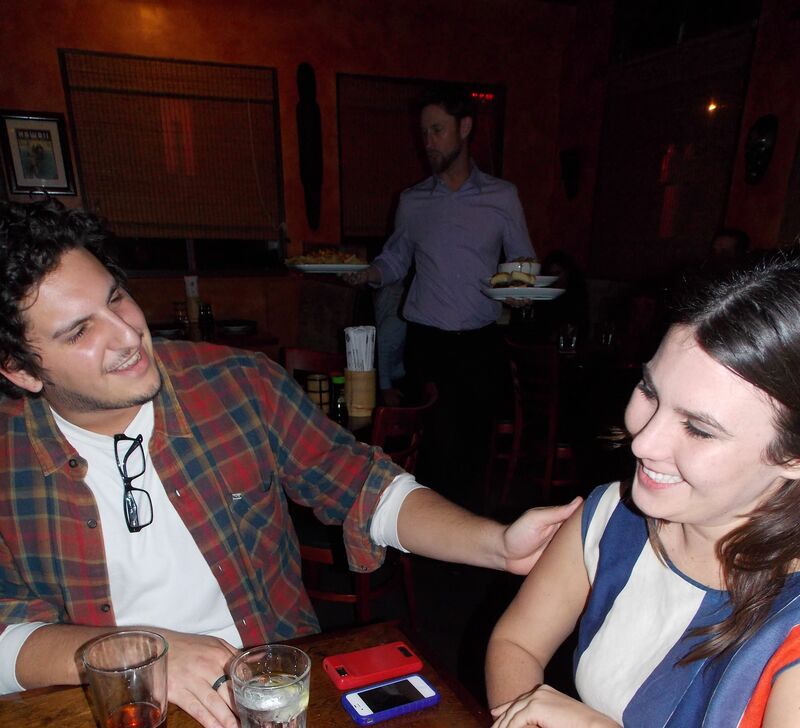 Cory Weaver, 23, and Kelly Hamilton, 24, at dinner the night before black friday where we discussed our game plan. Both went to Best Buy the Tuesday before and talked with an employee about how to get the most out of their first black friday experience. 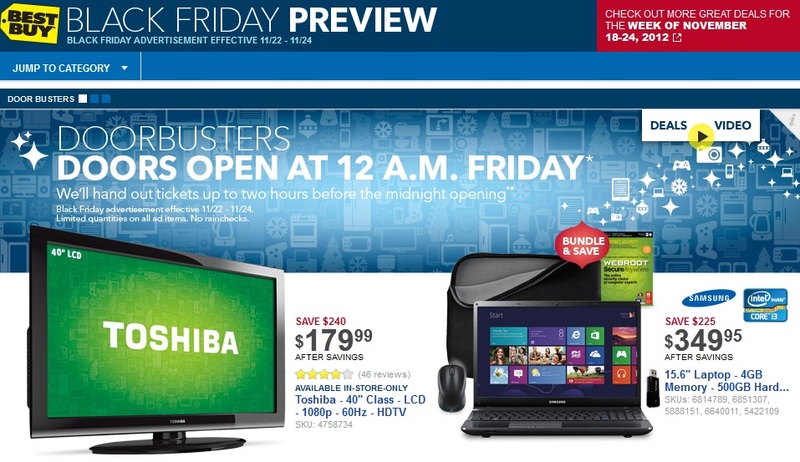 According to a Best Buy manager, shoppers could preview deals beforehand by going to their website. 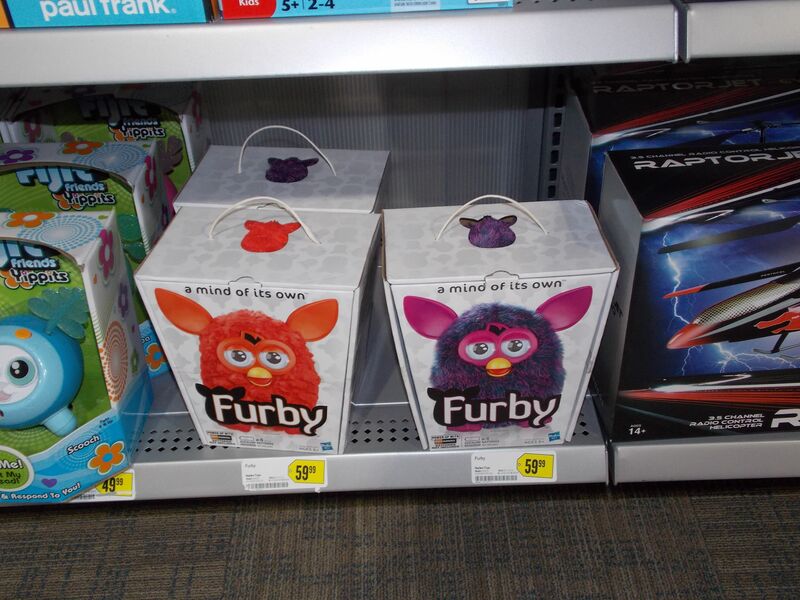 All discounts were labeled “while supplies last,” but depending upon the product, shoppers could receive many black friday 2012 discounts online as soon as midnight struck. We arrived at the Best Buy in the Marina Pacifica mall in Long Beach at about ten minutes to midnight on Thanksgiving and there was a line wrapped around the side of the building. Hamilton and Weaver said that they recognized some of the people who were still in line since Tuesday night. Some of the other black friday in-store only deals popular with the Best Buy shoppers were phones, like the Samsung Galaxy Tab 2 for just $179, and laptop computers like the Samsung bundle, a 15.6 inch screen and 4GB with a 500GB hard drive for about $350. Once they opened the doors I was genuinely surprised by the lack of chaos compared to the stories that came out last year. Best Buy had the lines roped off so people could not cut, and let a large group of customers into the store about every 3 minutes. The television and video game part of the store definitely filled in the quickest but everything remained relatively normal as far as shopping conditions were concerned, except for the fact that it was midnight on a holiday. 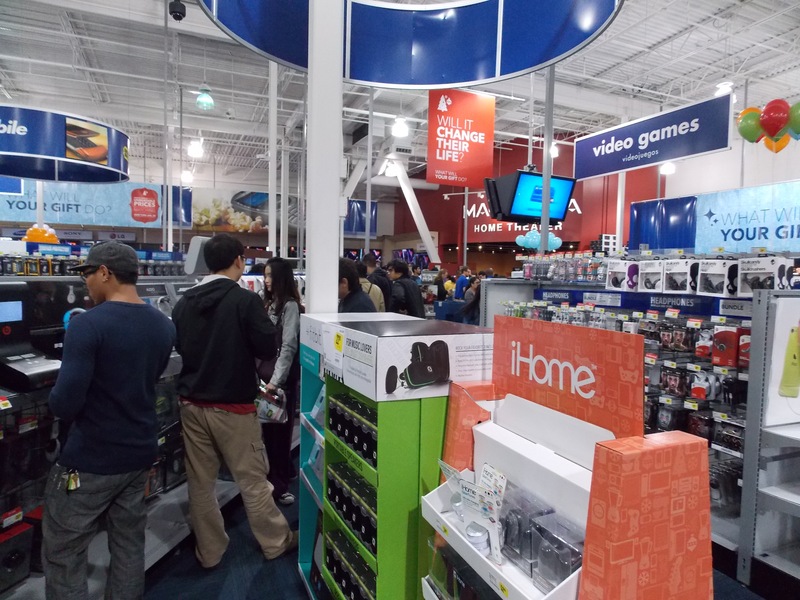 Best Buy in Long Beach, CA at midnight of Black Friday. I followed Hamilton to the camera counter where to her surprise both of her choices were on sale for the same price: $450. 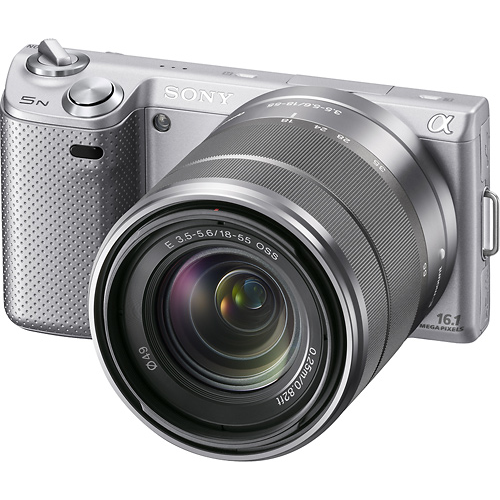 There were significantly more Canons available than Samsungs, but Hamilton confidently went with her gut and settled on the Canon without any regret. We left the store at about 1:00a.m. and only had to wait inline at the checkout for less than 5 minutes because Best Buy had made it so that you could pay for your items within the department of the store you bought them. 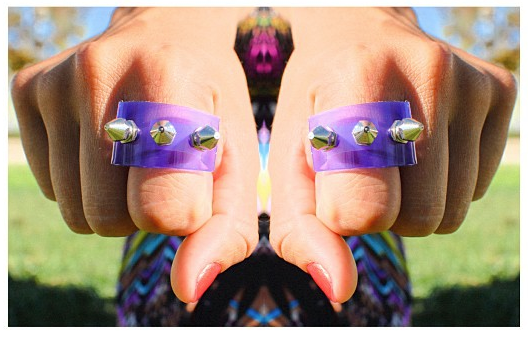 Designer and photographer Kelly Hamilton is a 23-year-old from Long Beach, CA who makes rings from recycled plastics, leather and high quality screw-in studs. Purchase her handmade one-of-a-kind designs online ranging in prices from about $30-$65 on her Etsy website, Did I Stutter. In the future, Hamilton plans to branch out and has already began working on other jewelry pieces including bracelets, cuffs, necklaces and earrings. Kelly Hamilton is a 23-year-old recent graduate from with a bachelor’s degree in studio art, emphasis in photography from Cal State University Long Beach. 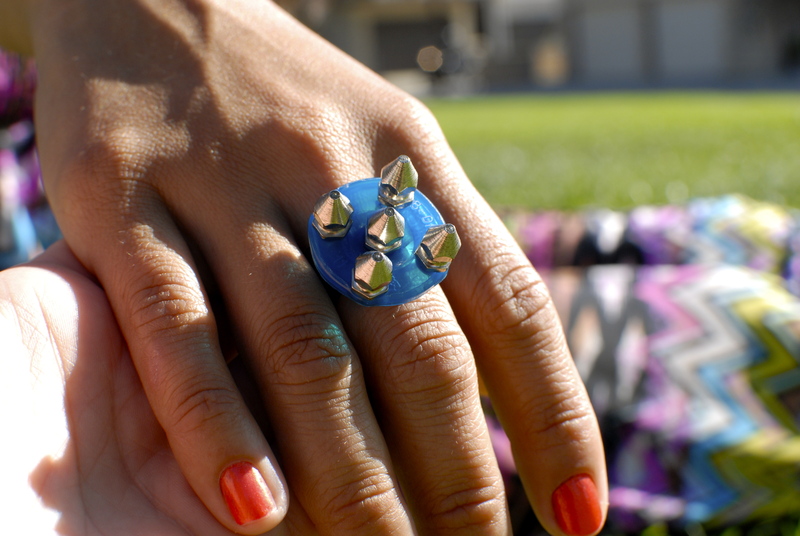 A self-proclaimed lover of arts and crafts since childhood, her current project has been her line of hand-made rings she sells on her Etsy site titled Did I Stutter, which uses recycled plastics, leather and high quality metal spikes. Founder and designer of the line, Did I Stutter, 23-year-old Kelly Hamilton of Long Beach, CA. Hamilton uses high quality, screw in metal spikes and recycled plastics and leather pieces to create her one of a kind pieces. Some of the items she has recycled from include old film canisters, jackets, key chains and a majority of her plastic coming from used plastic medical cannabis containers (in true punk rock fashion).”Don’t worry, all products are guaranteed to be 100% legal,” Hamilton joked as I spoke with her on the phone about the direction she plans to go in. Hamilton plans to branch out beyond rings and has already started working on bracelets, necklaces, cuffs and earrings that she will be putting on her Etsy site and says up to this point she has mostly gotten her line, Did I Stutter, out through word of mouth amongst friends and colleagues. Jennifer D’Agostino is a 25-year-old hairdresser of Los Angeles, CA who says she wears one of Hamilton’s rings every day and constantly gets complimented on it from clients. 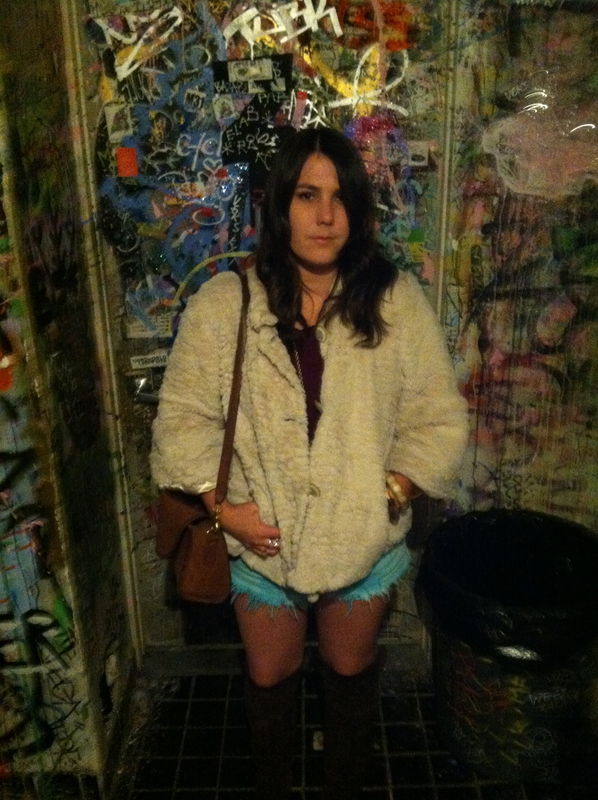 Jennifer D’Agostino, 25, a hair stylist of Los Angeles, CA shows off her Did I Stutter one-of-a-kind piece. Kelly’s mother, Rona Hamilton, is also an artist who makes jewelry as well, mostly using beads she orders off the internet. Rona said Kelly has always been a creative individual. 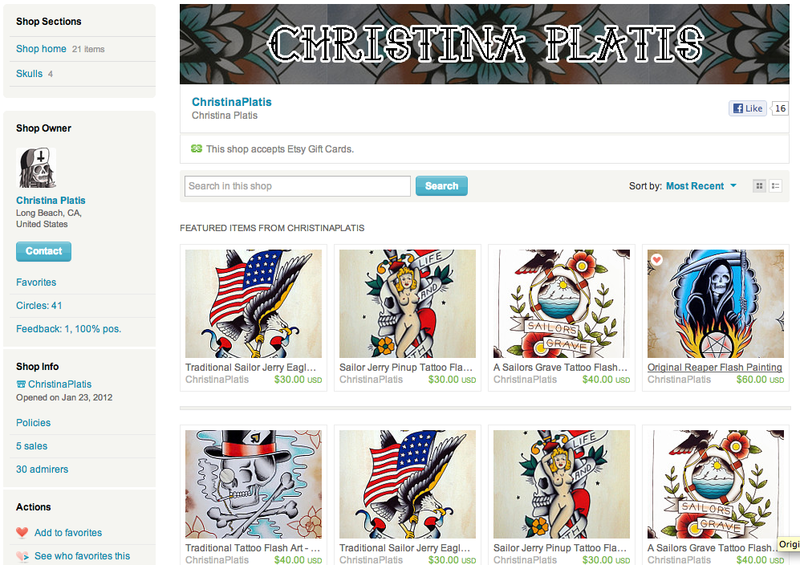 Her prices range from around $30-$60 dollars and can be purchased from her online store here. Also be sure to check out of some of her awesome photography from her photography and illustration portfolio website here, look hard enough and you may just spot me in a couple of her shots! Now I know some of you may be thinking that constructing a float is not necessarily a do-it-yourself kind of activity, but the annual Cal Poly float, entered every year by both schools in San Luis Obispo and Pomona since 1949, remains the only entry in Pasadena’s Tournament of the Roses that is self built and designed, according to Cal Poly’s website. 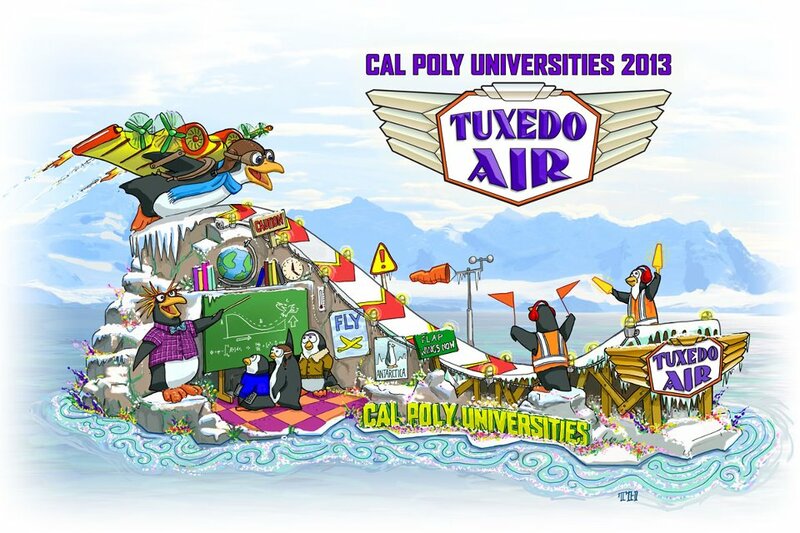 Since 1949, Cal Poly’s float is the longest running collegiate entry and places sixth overall in continuing entries since the first parade back in 1890! That means that every year, beginning in February, a volunteer committee of about 10-15 people on each campus begin meeting every Saturday to design, construct, and decorate the float in order for it to be ready for the internationally televised parade on New Year’s Day. Through a hands on approach, students learn and develop skills in things like animation, welding, hydraulics, automotive maintenance, machining, floral design and more. As the only self built entry, Cal Poly competes against professional float builders hired by corporations or sponsors that often have budgets close to $1 million. Over the last 64 tournaments, the student float has demonstrated innovation in technology and design: it was the first to use hydraulics for animation in 1968, the first to use computer-controlled animation ten years later in the 1978 tournament and the first to use fiber optics in 1982. Often recognized as a crowd favorite, Cal Poly’s entries have won a total of 47 awards to date. As the next parade approaches the students are working diligently to finish construction and begin decoration down at the Pomona campus. Check out their design below and watch for it live on January 1! “We began (nail art) as a way to experiment with art and push it’s boundaries” said Donne Geer, 24, about her and her sister Ginny’s nail art blog, Hey, Nice Nails! 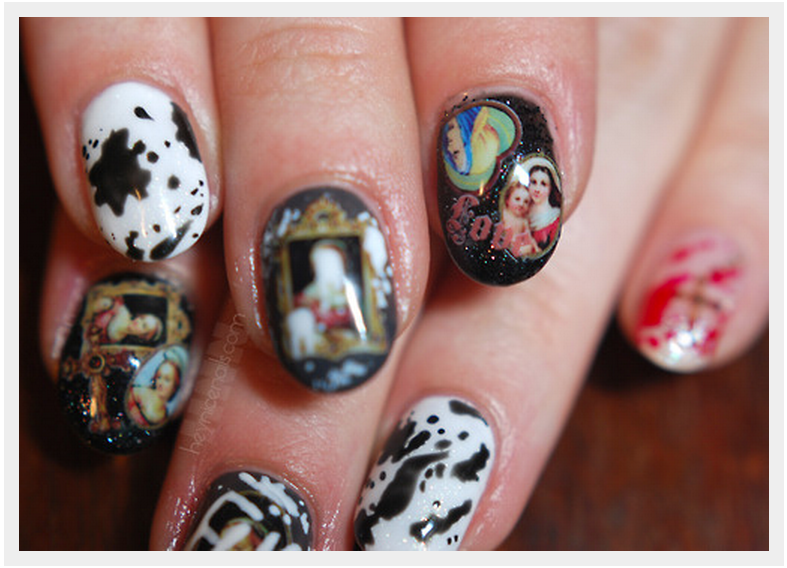 Sister duo Donne and Ginny Geer make up the team behind the growing in popularity nail art blog, Hey, Nice Nails! 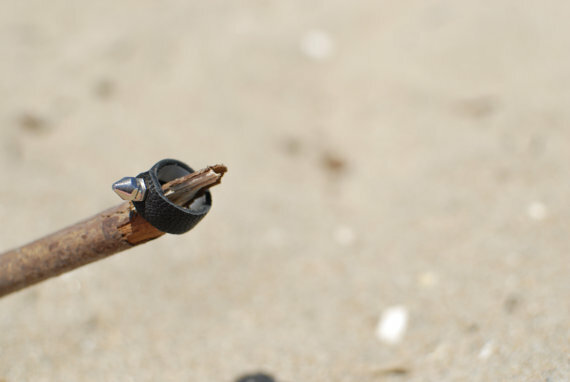 Branching out beyond the web, the two prepare to open up their very own shop in Long Beach in the next 2-3 weeks. Hey, Nice Nails the shop will be the girls head quater’s, as well as a nail salon/art studio where the two hope to have DIY nights, tutorials, and other artist’s work for show and sale. 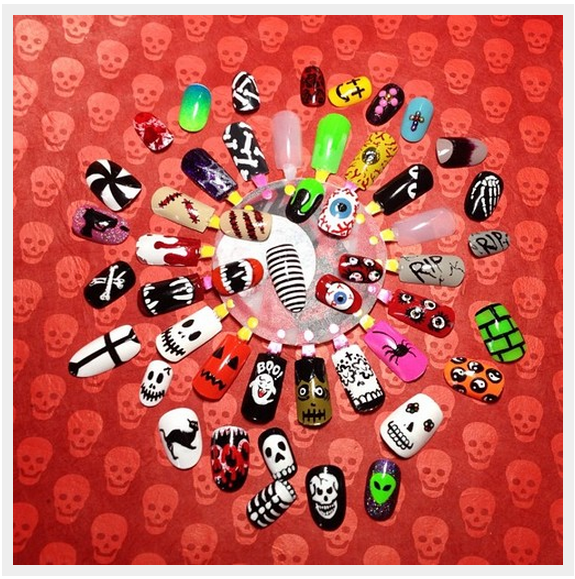 Capitilizaing on the recent explosion of the nail art scene over the past couple years is the dynamic sister duo of Donne and Ginny Geer and their ever evolving website and brand: Hey, Nice Nails! 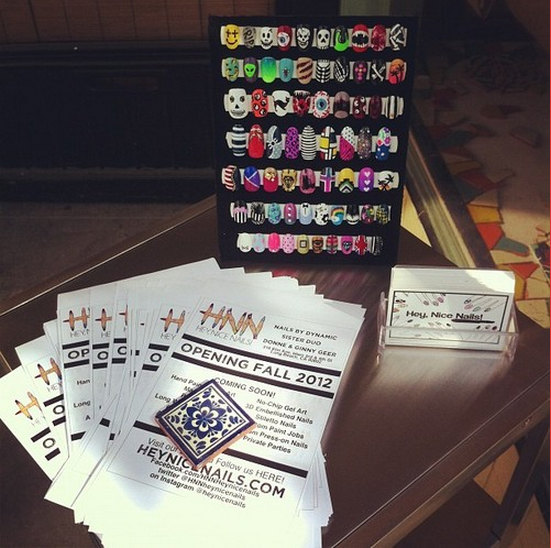 Beginning in 2010 on tumblr, HNN gained quick internet fame and today the site is awesome with an extensive archive of past designs, lists of their favorite polishes, and how -to’s on designs and DIY nail polish recipes. Since then the sisters have earned their manicurist lisences, built an etsy where you can custom order hand painted fake nails, been featured in magazines like Marie Claire and Allure, participated in nation wide nail art events, done pop-up shops in underground art galleries and were invited and traveled to New York fashion week for the Ruffian show to blog about the nail art on the runway. Now , at 24 and 26, Donne and Ginny have over 16 thousand online followers and have gone from part time bloggers, to full time entrepreneur’s as they prepare to open their very own space in the next 2-3 weeks in the heart of the Long Beach east arts village district at 316 Elm St.
More than just a nail salon, HNN the shop will also sell retail and double as an art studio for local artists can show and sell work. In addition to being a place where fans can come to get their custom designed manicures and pedicures, gels and acrylics The sisters plan to host art shows, events and DIY tutorial nights where anyone can come to learn the girl’s techniques. “We’re going to have a polish library of used and donated polishes so people that people can use, it’s going to be like a haven for everyone who loves art and nails to come to.” Said Donne as I spoke with the two about the obstacles they’ve gone through in transforming their hobby into a fully branded business. They remember struggling to get their domain name for the website and having to learn how to watermark their images after many were being leaked on the web without permission or credit, the two have learned to roll with the punches .